This year's Liverpool Biennial is busy, lively and timely, sprawling across 27 sites and featuring a broad range of cleverly realised works. Chris Sharratt reports from the city and selects five highlights. 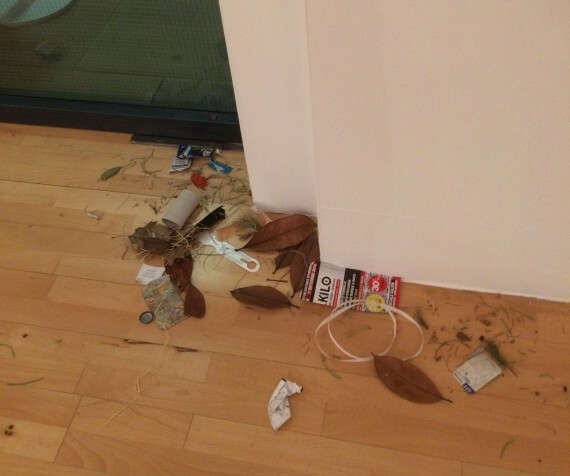 There is litter on the gallery floor at Tate Liverpool; old receipts, bits of grass, a bottle top, a screwed up map. You’ll find more in the large factory space at Cains Brewery a short walk away, and The Oratory at Liverpool Cathedral too. There’s no need to call in the cleaners, though; this is What the Living Do by Jason Dodge, a collection of everyday detritus that the artist has been collecting for years, representing one of the many trails we leave as we pass through life. It’s a simple, recurring motif throughout the venues at this year’s Liverpool Biennial, and at first it feels a bit banal. But what could initially be dismissed as a hackles-raising gimmick becomes, through its repetition, like a kind of visual comfort blanket; a device to subtly bind disparate elements together. At the same time it signposts our own biennial paper trail: this is what we do, these are our traces, whether we like it or not. This year’s Liverpool Biennial is a soberly entertaining, cleverly curated exhibition in a multitude of sites (the biennial map lists 27, including annual commissions). 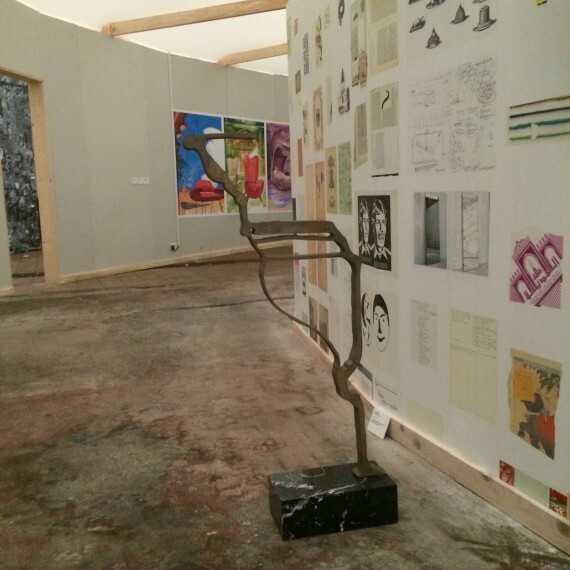 Crucially, it turns the sprawling nature of the multi-site approach to its advantage, programming artists across spaces and, as well as Dodge’s piece, introducing other repeated ideas, such as Lara Favaretto‘s Lost and Found suitcases, Rita McBride‘s Perfiles depicting the outlines of houses in Pompei, and Céline Condorelli‘s ‘portals’. 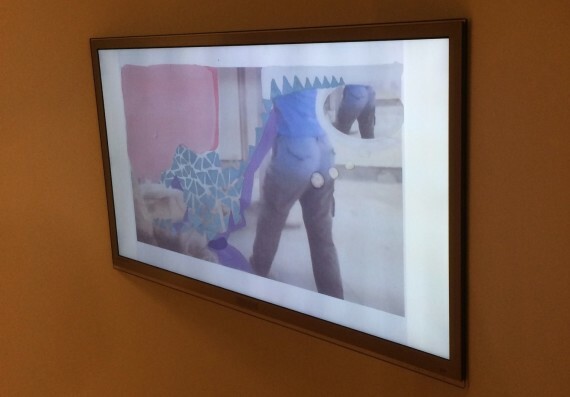 These portals are presented as both literal and metaphorical ways into the main conceit of the Biennial – that the work is themed around six ‘episodes’: Ancient Greece, Chinatown, Children’s Episode; Software; Monuments from the Future; and Flashback. 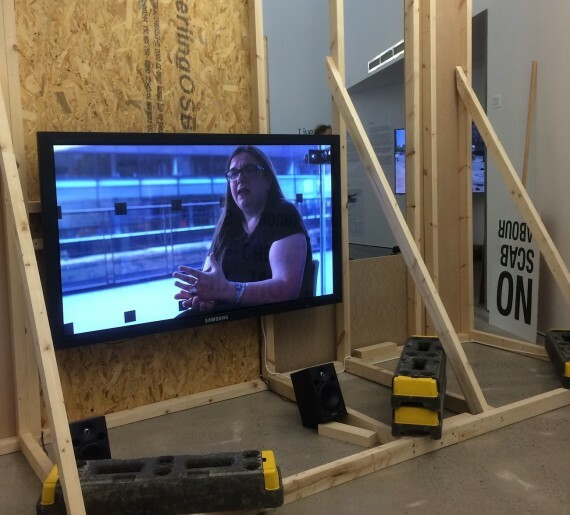 Cains Brewery provides the Biennial’s central focal point and includes three episodes. 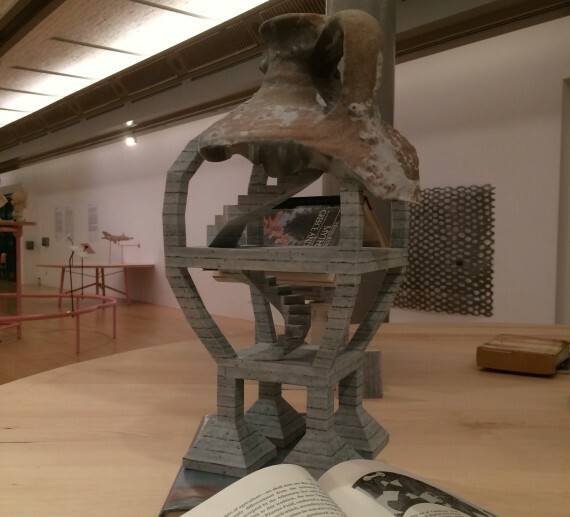 Work is curated in and around a large, walled circular structure – Collider, designed by Andreas Angelidakis – with an outer corridor and inner space featuring a film by Marvin Gaye Chetwynd made with Liverpool school children. With works on the walls and dotted around the floor, it’s a busy, lively space bustling with energy. Across the city on Lime Street, the disused ABC Cinema has also been repurposed for the exhibition. There’s something seriously spooky about this space. With all its seats removed, a series of screens showing Samson Kambalu‘s black and white films are arranged on the sloping floor, creating an obstacle course down to the huge, cinema-sized screen showing Fabien Giraud and Raphael Siboni‘s The Unmanned (1922 – The Uncomputable). The space conjures an atmosphere of ruin and mystery which the works amplify – this is a dark, slightly musty building drenched in atmosphere. The ABC is presented as part of the Flashback episode. For the most part, though, these labels feel unnecessary, the episodes a partly-realised distraction rather than the defining themes they purport to be. It’s a minor issue, however. 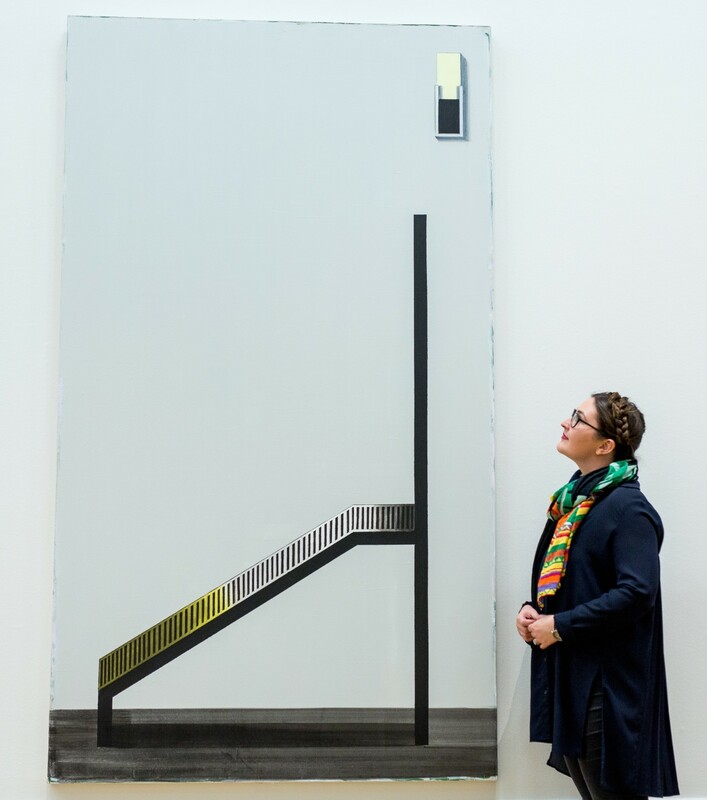 The artworks can speak for themselves – and mostly, they do so eloquently, intelligently and with a profound timeliness. 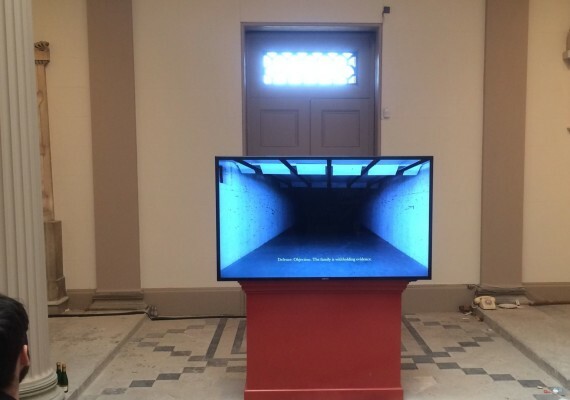 Presented inside the neoclassical Oratory near to Liverpool Cathedral, Beirut-based Lawrence Abu Hamdan‘s one-screen film installation is a powerful exploration of institutionalised violence, rooted in the 2014 killings of Nadeem Nawara and Mohamed Abud Daher in the West Bank of Palestine. A forensic audio analyst as well as an artist, the piece centres on Abu Hamdan’s own testimony to the trial of Israeli soldiers accused of killing both boys, the prosecution claiming live ammunition was used while the Israeli army maintained that only rubber bullets were fired. Silent except for the rumbling sound of the indoor shooting range the film is set in, as the trial transcript flashes up at the bottom of the screen, visualisations of the audio analysis of the gun shots move up and down on the range’s tracking system, usually used for targets. Occasionally, we see silent images of the protest that led to the shootings and are left to imagine the ear-splitting noise, and destructive power, of the gunshots being discussed. An unassuming video piece in the excellent ‘Ancient Greece’ show at Tate – which features Greek antiquities from the National Museums Liverpool collection as well as contemporary works – this short film piece takes propaganda footage of ISIS members destroying statues and other historical objects, and overlays it with hand-drawn animations. Exposing the self-loathing absurdity of the actions, the colourful, sometimes ridiculous additions – hammer-wielding figures with bikinis drawn on them, the heads of militants morphing into fish – create a flickering, sinister dance. 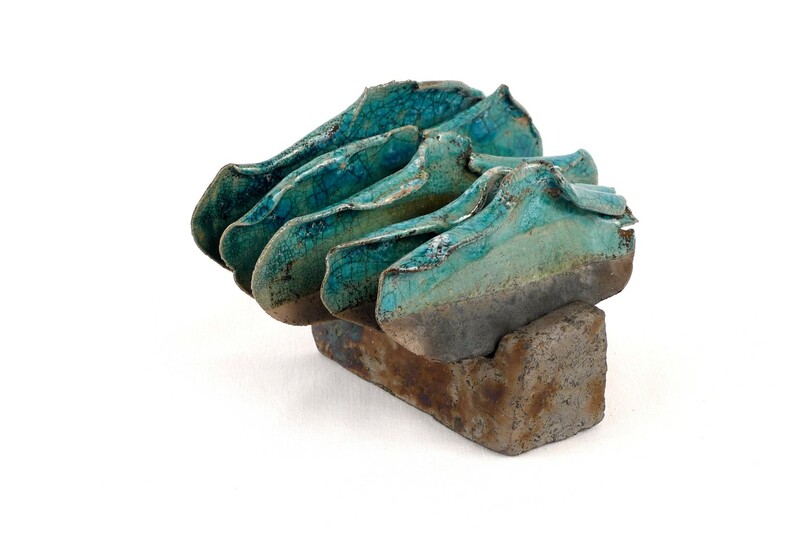 These Iranian artists, now living in Dubai, have work featured throughout the Biennial, with a large selection of sculptural and film pieces at Cains Brewery showcasing their probing and performative approach. There’s more at Open Eye Gallery, too. Drawing parallels with today’s social media and the news-disseminating role of Ancient Greek pots – which through their decoration shared the imagery of Greek architecture around the world – Andreas Angelidakis‘s seven minute film tells the story of Diogenes the Cynic, a man who lived in a large pot and spent his days criticising everybody and everything. ‘I wonder what Diogenes would think about today’s world where we all sleep inside our screens’ asks the written narrative. On a table nearby, 3D prints show maquettes of architecturally detailed, pot-shaped buildings – bringing ancient myth, current technology and future dreaming together in a series of strange but plausible designs. On 25 April 1985, school students across Liverpool took to the streets to protest against their exploitation as free labour through the Conservative government’s Youth Training Scheme. Captured at the time by photographer Dave Sinclair, the Japanese artist Koki Tanaka restaged the protest in June this year. At Open Eye, Sinclair’s original black and white photos are presented alongside video footage of the restaging and interviews with original marchers over 30 years later. While this flashback in time serves as a simple history lesson about Britain in the iron grip of Thatcherism, it also provides a commentary on where we are today, with its straightforward demands for a job and a future now tinged with an idealism and optimism that, a generation later, seems out of step with a precarious neoliberal reality. One film of a mother and original protester being interviewed by her two twentysomething sons provides a particularly persuasive commentary on what has been lost between then and now. It feels like Liverpool Biennial has reconnected with the city for its 2016 edition. 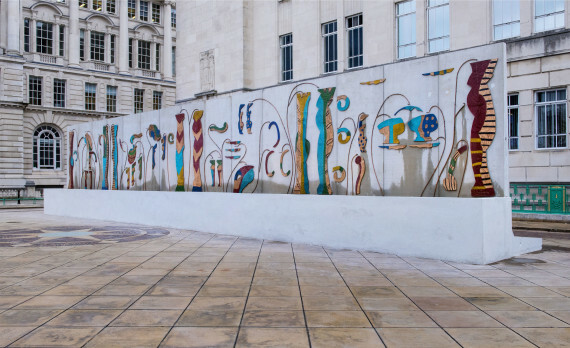 There are numerous works in public spaces, from Betty Woodman‘s Ancient Greek meets art deco fountain in George’s Dock Ventilation Tower to Sahej Rahal‘s spidery, clay-clad structure at Exchange Flags. 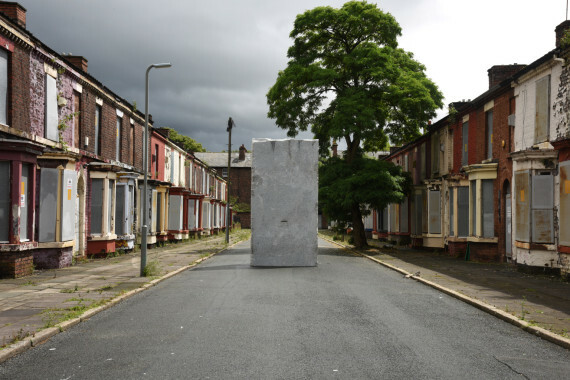 On the outskirts of the city in the centre of the derelict, boarded up Rhiwlas Street, Lara Favaretto has installed a huge block of hollowed out granite with a slot in it – a blank monument for a discarded, forgotten street. While entirely incongruous to its surroundings, its scale and elemental nature seems to emphasise the shabby, unloved feel of a once busy street. The sense of time and permanence embodied by the granite is, of course, an illusion – at the end of the Biennial it will be destroyed, with any money dropped through the slot donated to Asylum Link Merseyside.